Severe Vitamin D deficiency could be responsible for persistent rheumatoid arthritis (RA) disease activity, according to a new study. The study, conducted with 149 patients with active RA, observed the impact of Vitamin D supplementation on illness duration, pain severity, tender joint counts (TJC), swollen joint counts (SJC), serum Vitamin D levels, erythrocyte sedimentation rate (ESR), and C-reactive protein (CRP). The mean participant age at recruitment was 49, with 94% being female and 6% being male. The average duration of illness was 78 months, and average length of disease-modifying anti-rheumatic drugs (DMARDs) treatment was 44 months. Participants also had other co-morbid conditions, including diabetes, hypothyroidism, asthma, and benign prostatic hyperplasia. 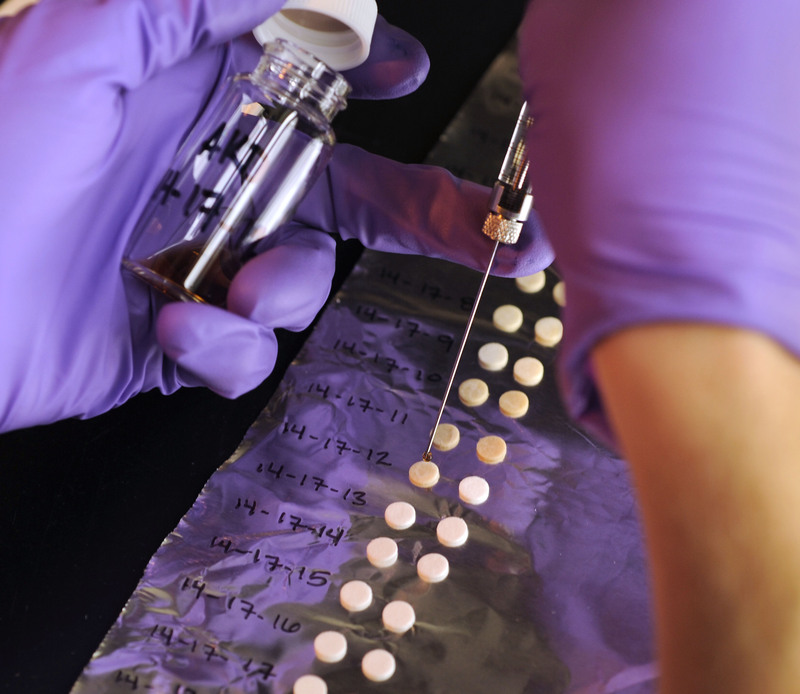 New NCI clinical trial will link patients to drugs that target their tumor. Researchers are on a mission to match cancer patients whose tumors have stopped responding to treatment with the targeted therapies most likely to slow their tumor’s growth. This effort took an important step forward in August with the launch of the National Cancer Institute’s Molecular Analysis for Therapy Choice (NCI-MATCH) trial, which will enroll patients at up to 2,400 sites nationwide. their tumors for more than 4,000 different mutations across 143 genes, with the goal of enrolling 1,000 patients in the trial. Patients will be eligible for NCI-MATCH if their tumor has a genetic abnormality that’s targeted by one of the study drugs, which include targeted therapies approved for or now being studied in other types of cancers. Patients can receive treatment at the trial site nearest to their home, regardless of which treatment they receive. ​The trial will open with 10 drug arms; over time, new treatments will be added, and those that do not prove beneficial will be dropped. For patients with rare cancers, NCI-MATCH will provide more opportunities to enter clinical trials. If a researcher wanted to conduct a trial for a specific type of cancer with a specific mutation, there might be too few patients “to warrant running a full clinical trial,” says Alice Chen, a medical oncologist at the NCI’s Center for Cancer Research in Bethesda, Maryland, who is co-leading NCI-MATCH. 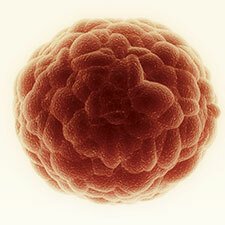 But with this trial, she says, it is the mutation, and not where the cancer started, that matters. The Veterinary Hospital at NC State University is major referral center for veterinarians from throughout the Southeast. Board certified specialists annually diagnose and treat more than 27,000 patients who are often seriously ill and require the best that veterinary medicine offers. The patient case load also allows for instruction of the next generation of veterinarians and the opportunity for clinical trials that advance animal health and well-being. Henry, a Hanovarian horse, was fast. Galloping was always one of his favorite things. Charging down a trail at speed, he never missed an opportunity to let loose with a playful buck. Until one day, he started to hurt. Initially, Henry tried to ignore the pain to keep running in the field and competing in Hunter/ Jumper shows with his owner. As time passed, the pain grew. He stopped running, and almost any exercise in the field or the show ring caused discomfort. No matter what he did, he couldn’t shake the problem, and his doctors were stumped. The puzzle pieces finally started to come together when Henry’s owners, the Thompsons, brought him to North Carolina State University’s College of Veterinary Medicine. Despite his uncertain future as a show horse, the Thompsons wanted him to receive the best care possible. As a horse with undiagnosed head-shaking, Henry needed a veterinarian experienced with difficult-to-solve cases and a clinic with advanced technologies and varied expertise unavailable elsewhere. Initially, his owners and primary care veterinarian speculated Henry’s head-shaking appeared because he wasn’t accustomed to the gnats in his new environment. Bred in arid New Mexico, he’d never encountered the insects so common in humid Charleston, South Carolina. But when the behavior continued to the point where he couldn’t hold a bit, everyone searched for another reason. Head-shaking in horses isn’t uncommon, according to Callie Fogle, clinical associate professor of equine surgery at NC State’s Veterinary Hospital. It’s thought to be similar to the severe headaches and uncomfortable tingling sensations experienced by humans with trigeminal neuralgia. The pain and tingling in the head of the horse, however, manifests itself through headshaking, particularly during physical exertion. It can be extremely debilitating. Fogle discovered Henry’s problem during a preliminary conversation with his trainer. When she opened Henry’s mouth, she saw it—a mass invading his lower right jaw, pushing his teeth out of alignment. Fogle wasn’t convinced because head-shaking root causes can be elusive and a mandibular, or lower jaw, problem causing head shaking hadn’t been described before. Quick X-rays revealed an abnormal growth of new bone in Henry’s jaw, radiating from its center like a sunburst. Tests of a small sample of the growth revealed that it was aggressive cancer, and the pathologist classified it as a tumor of dental origin. The tests also revealed another significant problem—Henry also had a bacterial infection in his jaw. But the team needed more information. They did a short-acting nerve block of the jaw and took Henry out for exercise, to ensure the mass was the problem spot. With this area of his jaw desensitized, Henry was able to hold a bit and had no head-shaking. Tumor-induced pain was most likely the culprit behind the head-shaking, which meant to treat Henry’s head-shaking, she’d have to remove a significant portion of the rostral, or front portion, of his mandible. To get a better idea of the tumor’s exact location and size, they anesthetized Henry and performed a CT scan with 3D reconstruction images, an advanced imaging procedure not available in the majority of equine veterinary clinics. Fogle removed the whole right side of Henry’s rostral mandible, including his canine and all incisor teeth on that side. She was able to preserve enough of his jaw bone, though, so that he didn’t need a prosthetic device or any stabilizing metal implants. Henry was also given antibiotics to treat the bacterial infection within his jaw. Initially, Lisa Bass from Greenville, South Carolina, wasn’t keen that her son brought Buster home from college. Her house was already crowded with a 13-year-old Labrador Retriever and an 18-year-old Schnauzer. She couldn’t see where a 12-week-old Bernese Mountain Dog puppy— a toddler-sized dog—would fit. But after one summer, Buster won her over. That’s why Bass was so surprised when her veterinarian heard a heart murmur during Buster’s one-year check-up. After an echocardiogram (a cardiac ultrasound exam), Buster’s diagnosis was clear. He had pulmonic stenosis—a congenital defect of the valve between the heart’s right ventricle and the main artery that carries blood to the lungs (pulmonary artery). This defect thickens and narrows the valve, forcing the heart to work harder to pump blood across it. Dogs with severe pulmonic stenosis often live shorter than normal lives, and they can develop heart failure or arrhythmias at a relatively young age. Even through Buster was not showing clinical signs of his heart defect, he had a poor prognosis for a normal life. Buster’s pulmonic stenosis was severe, causing a pressure difference between the right ventricle and pulmonary artery of over 100mmHg (there is normally no difference). The best option, Bass’s veterinarian said, was an interventional procedure called balloon valvuloplasty, and he referred Buster to the Hannah Heart Center of the Veterinary Hospital at NC State University’s College of Veterinary Medicine— the only veterinary heart center in North or South Carolina that performs the procedure. Balloon valvuloplasty is a minimally invasive procedure that is done under general anesthesia in the cardiac catheterization laboratory. A catheter is introduced through a needle stick in either the jugular vein in the neck or the femoral vein in the groin. Under fluoroscopic (x-ray) guidance, a high pressure balloon is carefully placed across the defective valve. Once positioned, the balloon is inflated to expand the valve area, relieving the obstruction to blood flow across the valve. At NC State, the procedure is permanently effective in returning the valve to nearnormal function more than 90% of the time. Buster’s outcome, according to Dr. Teresa DeFrancesco, section chief for cardiology, dermatology, and oncology at the Veterinary Hospital, was outstanding. Buster’s peak pressure gradient fell to 44mmHg. The Bass family sees no change in Buster’s behavior— and that’s just what they wanted. Buster, who probably would have died as a young adult, now has the potential for a normal lifespan thanks to his veterinarian who detected the problem during his annual checkup. It’s said there’s often one hen to rule the roost. In the case of Alec Bergin, a 13-year-old boy from Moore County, that hen is Alice, a rare breed Phoenix chicken. Ever since Alice joined the Bergin family with three other Phoenix hens, Alec has hand-fed her treats and watched her assume a leading-lady role, hatching and mothering her share of 12 chicks. And that’s exactly what Alec did one evening. Instead of running for her treat like normal, Alice stayed on her nest. She only half-heartedly pecked at the niblet, and after looking her over, Alec and his mother noticed her distended belly and discovered her back end was covered in feces. Their first assumption: she couldn’t lay her eggs. Taking Alice to the community veterinarian wasn’t an option— chickens aren’t everyday pets. To get this family hen the proper care, Bergin brought her to the NC State Veterinary Hospital and put her in Jeff Applegate’s hands. “When Alice came in, she was very lethargic and exhibited the distended belly or coelom so we started with a physical exam, completed blood work, and proceeded to complete an emergency ultrasound in concert with the Radiology Service,” says Dr. Applegate, a clinical veterinarian specializing in companion exotic animal medicine. Reproductive disease is common in chickens, and it’s analogous to uterine disease in humans and other mammals. The ultrasound showed Alice had free coelomic fluid and abnormal tissue in her oviduct, the tunnel in which an egg forms and by which it leaves the hen’s body. The diagnosis was oviductal adenocarcinoma—Alice had uterine cancer. The treatment: a salpingohysterectomy, the avian equivalent to spay. Once the Bergins green-lighted surgery, understanding Alice would never again lay eggs, Applegate assembled a team from the Exotic Animal Medicine Service to combine their skills during Alice’s operation. Pooling talents from multiple specialties is a benefit the NC State University Veterinary Hospital offers patients according to Applegate. In cases like this, many collaborating hospital services may include specialists from emergency and critical care, radiology, anesthesia, and surgery. The surgery—an invasive procedure with the surgeons removing Alice’s diseased oviduct through a small L-shaped incision behind her left leg—was a success with few complications and a moderate amount of bleeding. After two weeks recuperating in the Bergin’s master bathroom, Alice moved back outside and assumed her leadership position. Even as more people use e-cigarettes, questions arise about their safety and whether they actually do help smokers kick the habit. When e-cigarettes hit the market in 2007, they were embraced as an effective and safe strategy for smokers to break their addiction to traditional cigarettes. Since then, they’ve grown in popularity among all age groups. But research has revealed mixed success in helping to quit. And now North Carolina researcher are questioning their safety. A new study from Research Triangle Park-based RTI International points to many e-cigarette characteristics that could pose intrinsic, and yet unidentified, health dangers. The research comes on the heels of reports that e-cigarette use is on the rise. 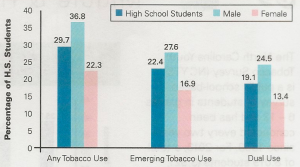 In North Carolina, according to the North Carolina Youth Tobacco Study, e-cigarette use sky-rocketed 325 percent among high school students from 2011 to 2013. A full 10 percent of students are now considering using e-cigarettes. Other research, including a March 2014 Journal of the American Medical Association Internal Medicine study, showed e-cigarette use among Americans leaped from 2 percent of U.S. smokers in 2010 to more than 30 percent in 2012. Whether e-cigarettes are helping smokers quit has been the subject of pretty fierce debate in the research world. A May 2014 study published in Addiction showed the alternative cigarettes helped 60 percent of aspiring quitters reach their goal. 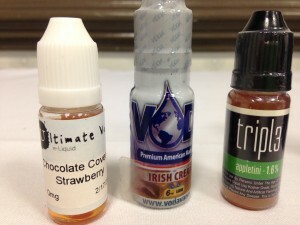 Other studies suggest that e-cigarette users quit smoking but keep using the e-cigarette as a way to get nicotine. 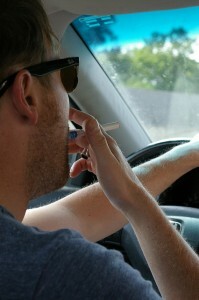 Many of those former cigarette smokers argue the newer devices are safer. But to date, said Jonathan Thornburg, RTI’s director of exposure and aerosol technology and lead study author, there’s been no way to prove e-cigarettes are any safer than traditional cigarettes. And, it turns out, he said, they may be just as dangerous. Survey, revealed e-cigarette use has tripled among American teenagers. From 2011 to 2014, e-cigarette use nationwide among middle-schoolers rose from 1.1 percent to 3.9 percent and from 4.5 percent to 13.4 percent among high-schoolers. Those rates translate to approximately 450,000 middle school students and 2 million high school students. Although the Food and Drug Administration has deemed many e-cigarette ingredients safe for consumption, that categorization doesn’t necessarily mean they’re safe to inhale. That’s where the safety of e-cigarettes becomes ambiguous, Thornburg said. E-cigarette vapor particles are small – only slightly larger than a bacteria, at a width of 100 to 800 nanometers. But, even at that size, they pose a threat, he said. Nearly half of all inhaled e-cigarette particles remain in the lungs to grow in the respiratory system, and the remaining exhaled particles can be as dangerous as second-hand smoke. Lighting an e-cigarette also presents a risk. E-cigarettes don’t ignite like traditional ones, so there’s no carcinogen from combustion, but starting one produces a slightly altered form of formaldehyde, a disinfectant and embalming fluid. That form has a greater potential for getting stuck in lung tissue. In addition, little is understood about what happens when other e-cigarette ingredients get into lungs. The glycerin, propylene glycol (a syrupy liquid added to food, cosmetics and some medicines to help them absorb water and stay moist), food preservatives and artificial flavorings could be dangerous to breathe in. In fact, it’s already well known, Thornburg said, that inhaling artificial butter flavoring, one of the popular flavors in the liquid used in e-cigarettes, is dangerous. To answer that question, Thornburg’s team is conducting a study to determine if e-cigarette second-hand exposure to the nicotine and other ingredients is high enough to warrant concern. The goal is to inform public policy on how and when e-cigarettes should be regulated. But until that data exists, he said, cities and towns can’t create any ordinances addressing e-cigarette use. Determining the actual health risks associated with e-cigarettes goes beyond giving teeth to public health regulations. It’s also critical to combating advertising and marketing efforts that present these products as completely safe alternatives to traditional cigarettes, said Annice Kim, a social scientist in RTI’s public health policy research program. Despite heavy advertising and lack of safety data, some states are already implementing measures to curb e-cigarette use. In most states, including North Carolina, e-cigarettes cannot be sold to anyone under age 18. North Carolina also taxes the sale of e-cigarettes. Other states have implemented e-cigarette bans on school property, and several states, also including North Carolina, specifically prohibit the use of e-cigarettes in 100 percent smoke-free sites. Alongside the RTI study, research is starting to reveal that e-cigarettes carry their own health hazards. A recent study out of UNC-Chapel Hill showed that five of 13 liquid flavors – including hot cinnamon candies, banana pudding and menthol tobacco – are toxic in high doses and can change cell life, cell reproduction and cell communication in the lungs. Work out of the University of Alabama School of Medicine discovered that the temperature of the e-cigarette coil is directly associated with the production of harmful chemicals, such as acrolein (used in herbicides), acetaldehyde (a toxic irritant) and formaldehyde. And inhaling the vapor suppresses one’s ability to cough. Albert Einstein University researchers found that after 30 e-cigarette puffs in 15 minutes, users were far less sensitive to capsaicin, a component of chili peppers that can induce coughing. A reduced ability to cough can be dangerous because coughing can prevent choking and it removes infectious agents from the lungs. New research with mice from Indiana University found that just the nicotine in e-cigarettes is enough to negatively impact lung function. The effects are greater with higher doses, but nicotine inhalation causes acute lung inflammation, decreased lung cell growth and a change in lungs’ ability to act as a barrier to outside insult. Even substances found in nicotine-free e-cigarettes attacked the molecules that hold together the endothelial cells that line the lungs and protect from infection. The hope, Kim said, is this current and future research will continue to highlight the yet-unknown dangers of e-cigarettes both to the user and those in the vicinity. Data that reveals the potential negative impacts, she said, could be the best arrow in the quiver to fight against marketing efforts that support e-cigarette use. New findings about peanut allergies is turning the advice pediatricians give to parents of young children on its head. Scientists from North Carolina are in the thick of this new research. As a 15-month-old, Brayden Baylor touched his first peanut butter cracker. Within minutes, his face turned red, he broke out in hives and he began rubbing his eyes until they were swollen shut. It was a classic peanut-allergy reaction. But, because he hadn’t actually eaten the cracker, or the peanut butter on it, his parents didn’t realize what was happening – until a second reaction erupted within hours. After a blood test, a local allergist diagnosed Brayden with a peanut allergy – a potentially deadly immune response affecting between three million and six million Americans, the majority of whom are children. According to a 2001 Archives of Internal Medicine study on food allergies, peanut allergies rank worst, accounting for more than 50 percent of the 200 annual food allergy-related deaths nationwide. In fact, the fear of peanut allergy and its potentially fatal outcomes prompted the American Academy of Pediatrics, in 2000, to issue guidelines recommending children consume no peanut protein before age 3. 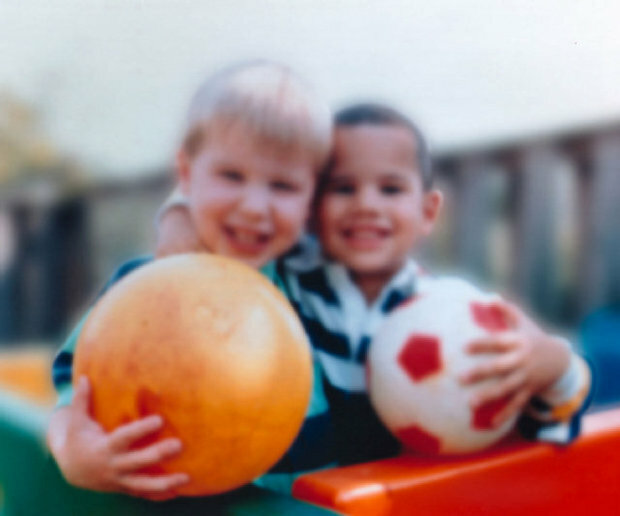 The hope was that delayed exposure would give a child’s immune system time to strengthen and prevent peanut allergies. But that hasn’t happened. Between 1997 and 2010, peanut-allergy prevalence among American children has skyrocketed 50 percent, according to the Centers for Disease Control and Prevention. And, based on existing data, occurrence within North Carolina mimics the national population. This meteoric rise has baffled allergy and immunology researchers and sparked many investigations into the body’s response to peanut protein and how it can be calmed. Now there’s a watershed study, funded by the National Institutes of Health, that experts say conclusively proves the existing approach to combating peanut allergies has been wrong. In short, the AAP guidelines meant to safeguard children like Brayden are actually causing more allergy cases to break out. While peanut-allergy rates are high in the United States and United Kingdom, that’s not the case everywhere. A 2008 Journal of Allergy and Clinical Immunology study revealed British children were 10 times more likely to have a peanut allergy than Israeli children. Those nation’s health care systems are roughly equivalent, but there’s a significant cultural difference. Israeli families introduce children to peanut products far earlier. A snack called Bamba – a peanut butter-flavored corn puff – is present in 90 percent of Israeli homes and helps transition infants to solid food. As part of the NIH’s Immune Tolerance Network, Gideon Lack, pediatric allergy professor at King’s College London, launched a study to investigate whether eating peanut-protein products, such as Bamba, early has a protective effect, Mitchell said. Lack’s five-year study enrolled 600 4-to-11-month-old children who were at risk for developing a peanut allergy. They either had another existing food allergy, a family history of peanut allergy or eczema. Half of the children were introduced to Bamba, while the other half followed the existing guidelines that prohibit exposure. The children who received Bamba ate it three times a week for five years. The study ended with a food challenge that escalated the peanut-protein amount participants ate over several hours. The results, published in a February New England Journal of Medicine issue, showed children who ate Bamba were 81 percent less likely to develop peanut allergy. Among non-consumption participants, 13.7 percent developed a peanut allergy, while only 1.9 percent of the Bamba group did. According to Wesley Burks, chair of pediatrics at the UNC-Chapel Hill School of Medicine, Lack’s study will change how doctors advise parents about peanuts. Burks leads a long-standing peanut-allergy study designed to help children with existing peanut allergies, including Brayden, develop a tolerance to peanut protein. It will take between five and 10 years, he said, for pediatricians to abandon the current guidelines and begin advising parents based on these new findings. While the results of Lack’s study seem to indicate that preventing peanut allergy before it occurs is possible, it’s not yet clear whether that’s the case, Mitchell said. 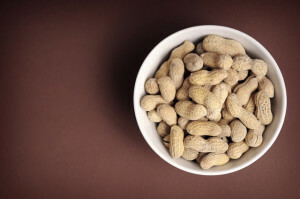 The effect could be desensitization, meaning participants who exhibit no current allergic responses could have reactions to peanut protein later in life. To answer that question, several Bamba group participants agreed to avoid peanut protein for a year and then complete another food challenge. This new group will also include 40 children who don’t have peanut-allergy risk factors but had a positive allergy skin test. Results of this new study will also help doctors treat children with peanut allergies. Mitchell advised that parents have their child evaluated by an allergist if any peanut-allergy risk factor exists. An allergist can provide guidance on how to introduce peanut protein into the diet. 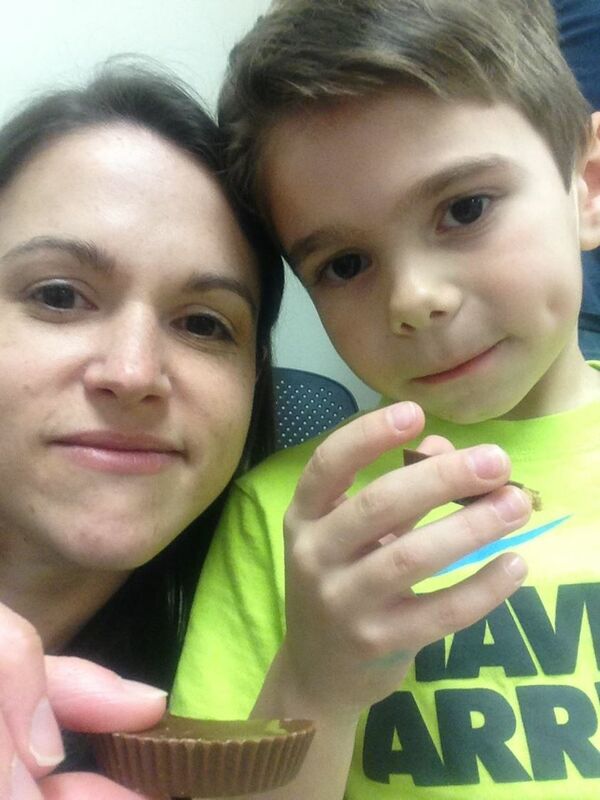 Karrie and 6-year-old Brayden Baylor share a Reese’s Peanut Butter Cup three years after Brayden started treatment for his peanut allergies. Photo courtesy Karrie Baylor. infants and newborns, but it can’t help the children who already live with peanut intolerance. That’s where Burks’ work comes in. 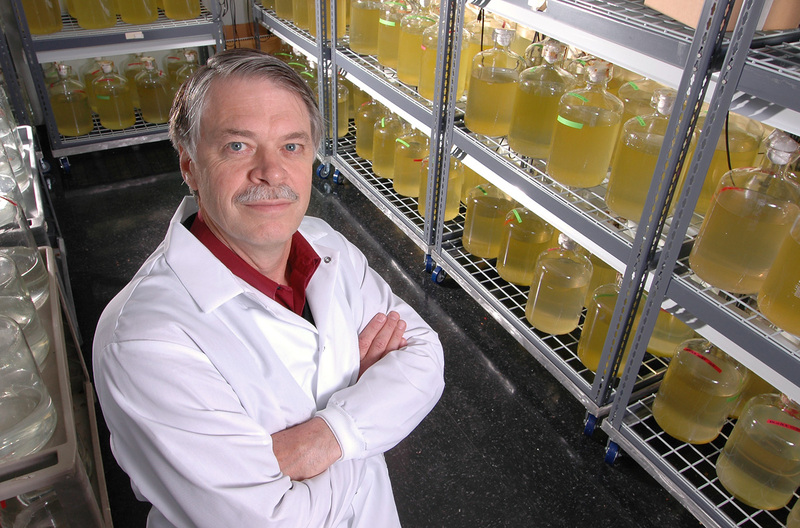 For more than 25 years, he has worked toward treatments that help children – most of whom are over age 2 – develop a peanut-protein tolerance that reduces the severity of allergic reaction. The therapy is considered a success if a child can ingest a peanut or peanut protein without being thrown into a debilitating or potentially fatal immune response. To date, Burks, who is also physician in chief at North Carolina Children’s Hospital, and his team have developed three treatment forms, all of which culminate with a food challenge similar to Lack’s study. In some cases, participants drip peanut protein-infused liquid under their tongue, while others wear patches impregnated with peanut protein. The most effective strategy though has been mixing peanut-protein powder with other well-tolerated foods, such as applesauce or ice cream. “When the protein powder is introduced regularly – and in increasing quantities – it can make changes to the immune system,” Burks said. Based on Rho’s data, Burks said he will begin to enroll and treat younger children in a continued effort to reduce peanut-allergy impact. In the meantime though, he will continue to treat children Brayden’s age and younger, helping them overcome their peanut allergies. Brayden’s therapy has already been declared a success after three years: He passed his final food challenge without exhibiting any signs of allergic reaction. His celebratory feast? His first-ever Reese’s Peanut Butter Cup.